Joachim Patinir (1480-1524) ,pintor flamenco. 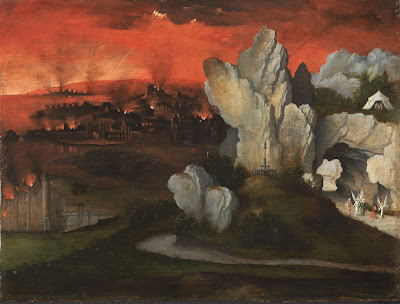 Landscape with the destruction of Sodom and Gomorrah.1520. 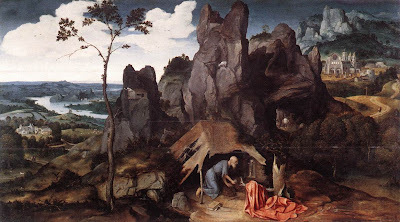 St Jerome in the Desert.1520. 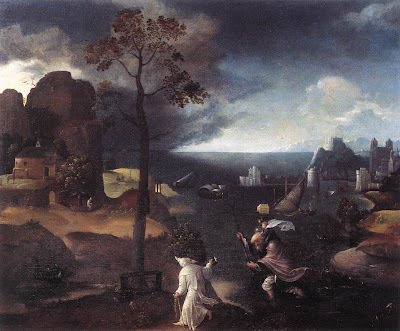 The Temptations of Saint Anthony the Abbot.1515-22. 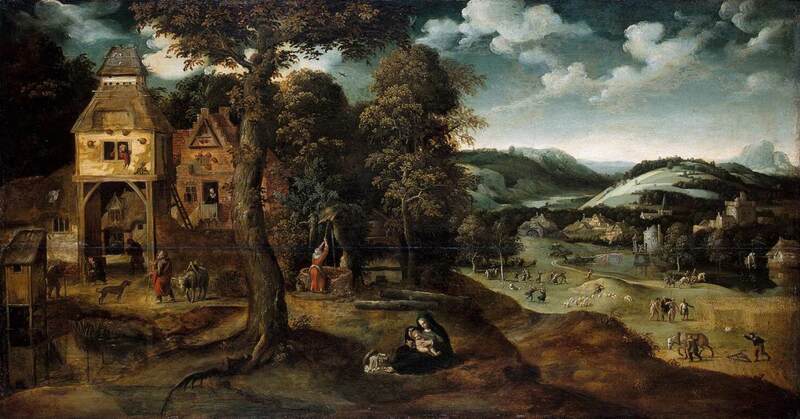 Rest on the Flight from Egypt.1519-24. Saint Jerome in a Rocky Landscape.1515-24. Landscape with The Flight into Egypt.1524. 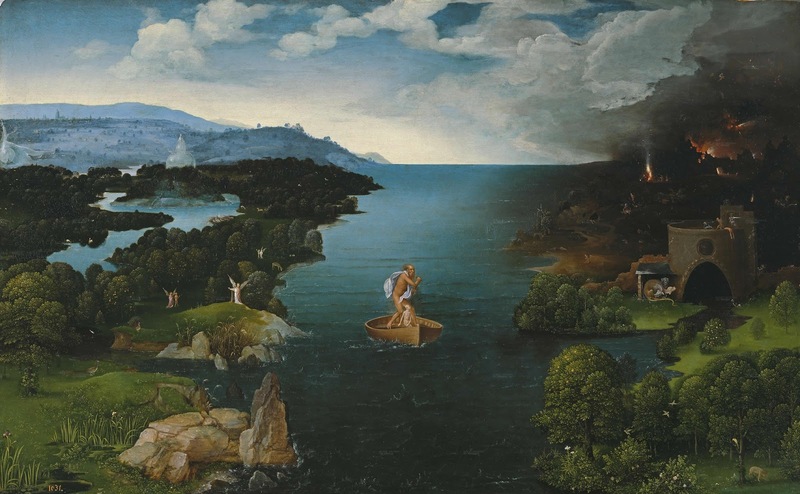 St Christopher Bearing the Christ Child.